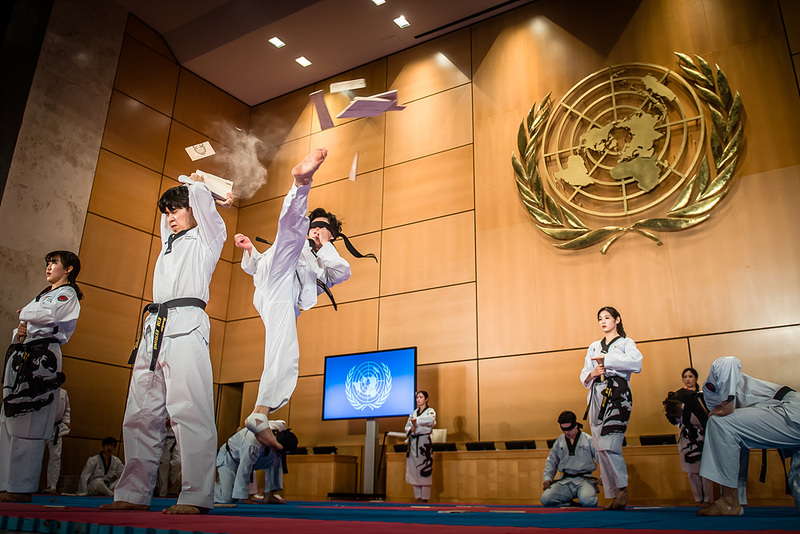 GENEVA, Switzerland (April 12, 2019) – World Taekwondo (WT) and the International Taekwon-Do Federation (ITF) today showcased the power of taekwondo to promote peace during a joint-demonstration at the United Nations (UN) Office in Geneva. 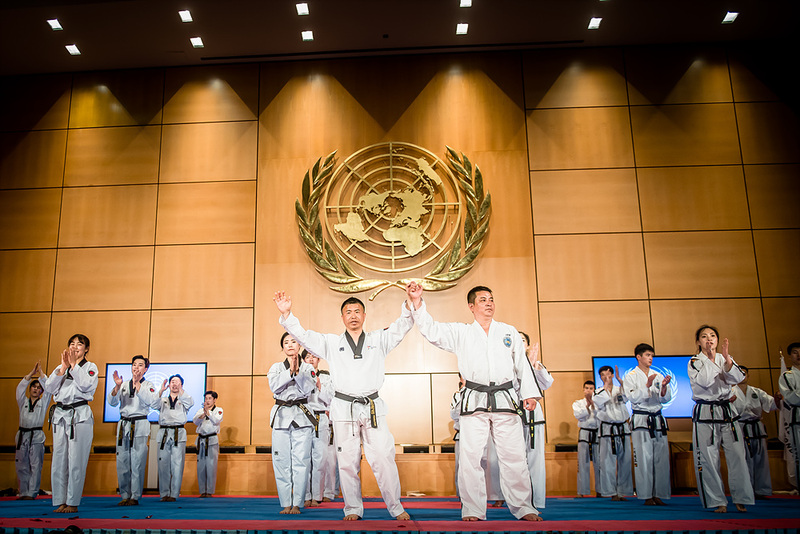 The joint-demonstration was the fourth demonstration held over the last week to mark the 25th anniversary of taekwondo being included on the Olympic Programme and to celebrate the growing collaboration between the two federations. 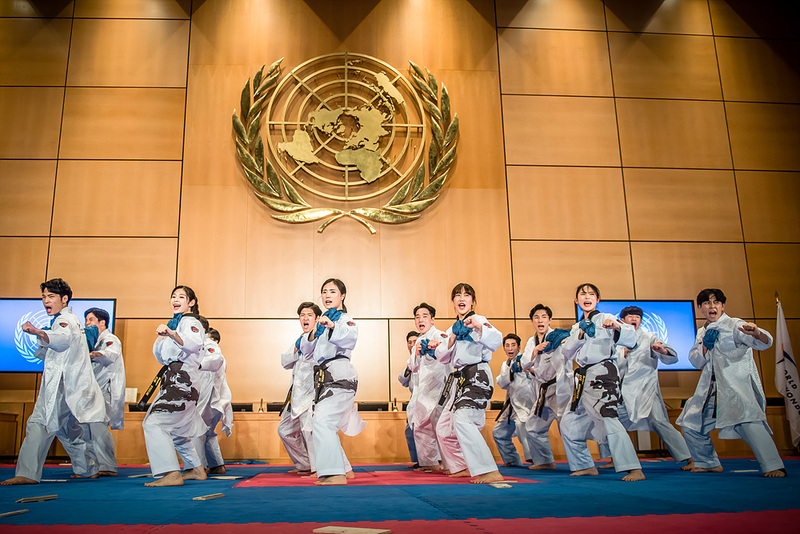 The UN office in Geneva (UNOG), a symbol of unity, collaboration and international peace, provided the perfect setting for the joint-demonstration, which sent out a strong message about taekwondo’s power to teach values that transcend sport. 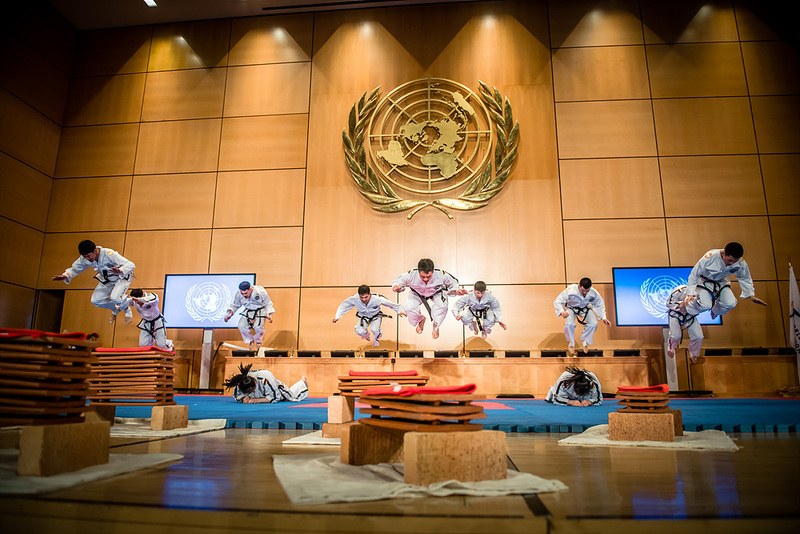 UN Geneva Director General Michael Moller, ambassadors, diplomatic corps, board members and staff from international organizations, including the UN, watched with awe as 28 delegates from WT and 23 delegates from ITF, showcased the skill, excitement and drama of taekwondo. 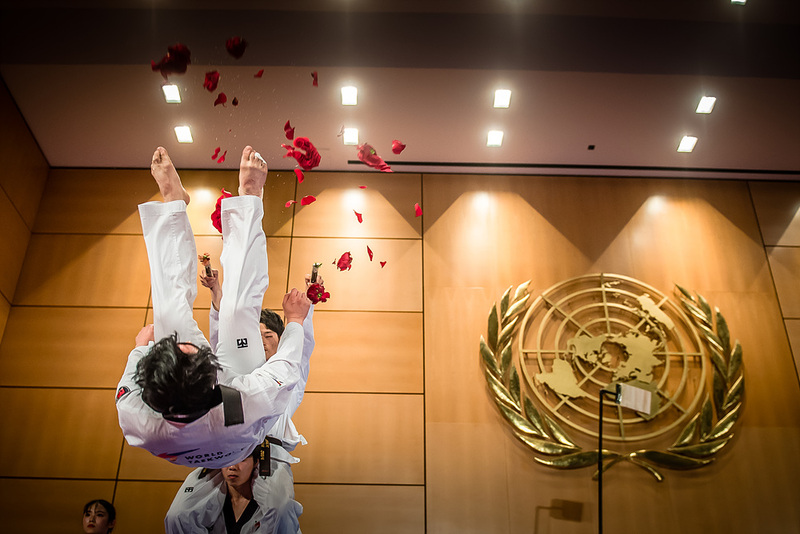 The athletes performed gravity-defying kicks, spectacular board-breaking, self-defense and graceful Poomsae skills, astonishing each member of the audience. 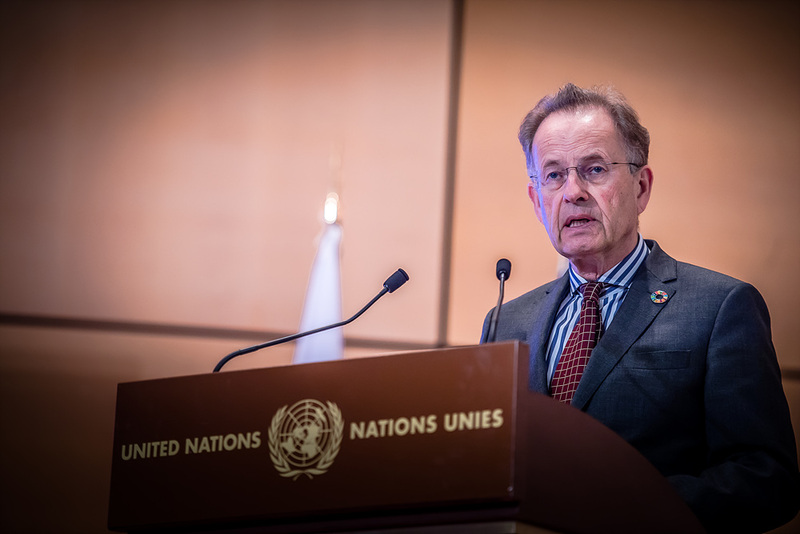 This is the second time WT has visited the UN offices in Geneva, after an initial visit in 2016 to discuss humanitarian and peace building initiatives. 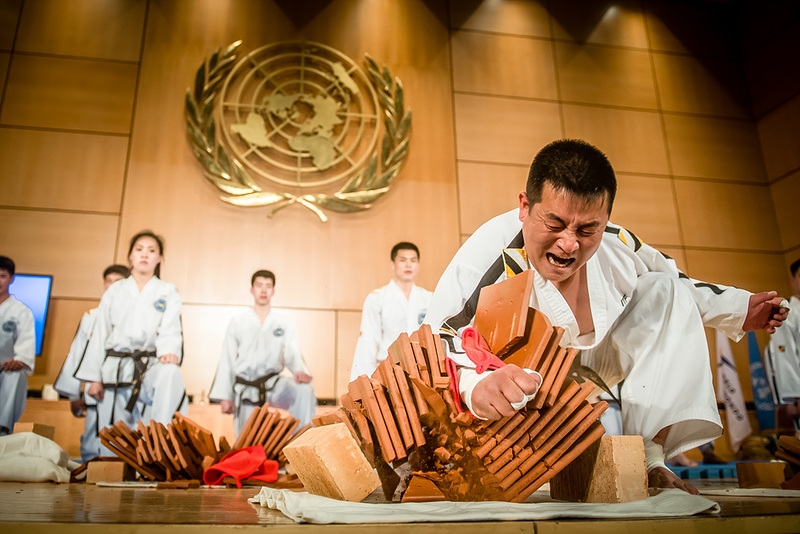 The WT Demonstration Team had the honor of performing a demonstration during that visit. 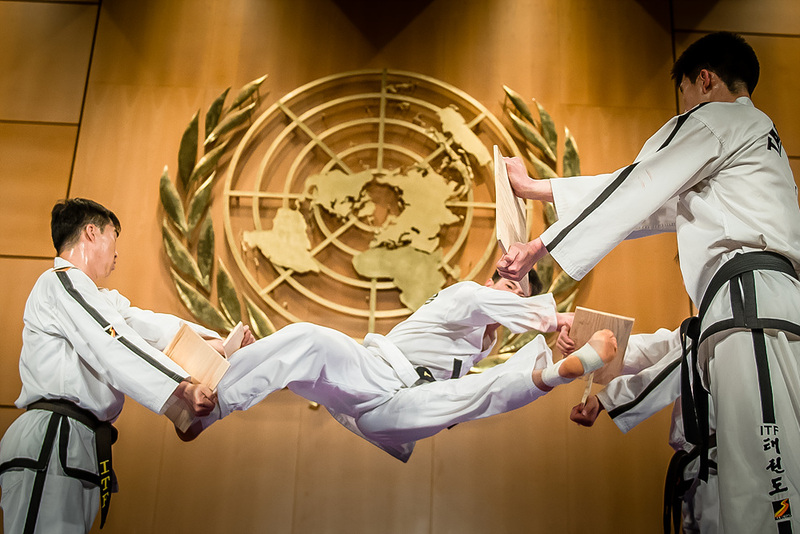 “It is an honor to be back at the UN office here in Geneva. 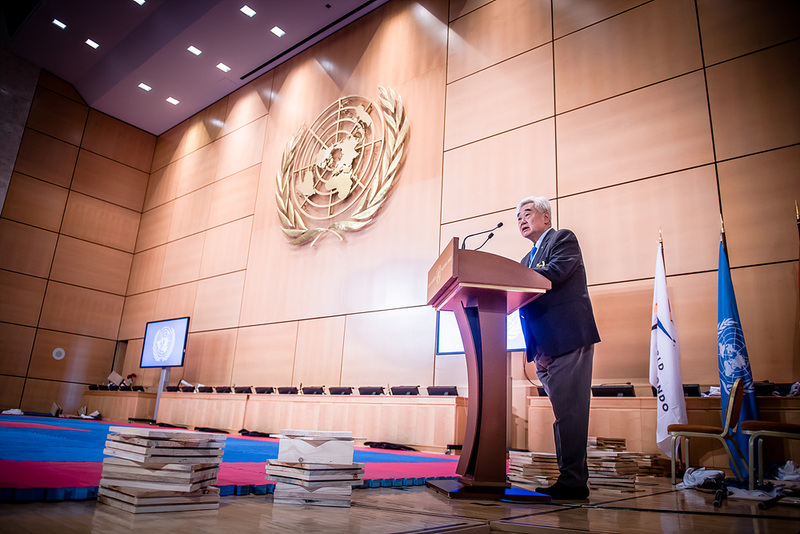 WT and the UN share many of the same values. 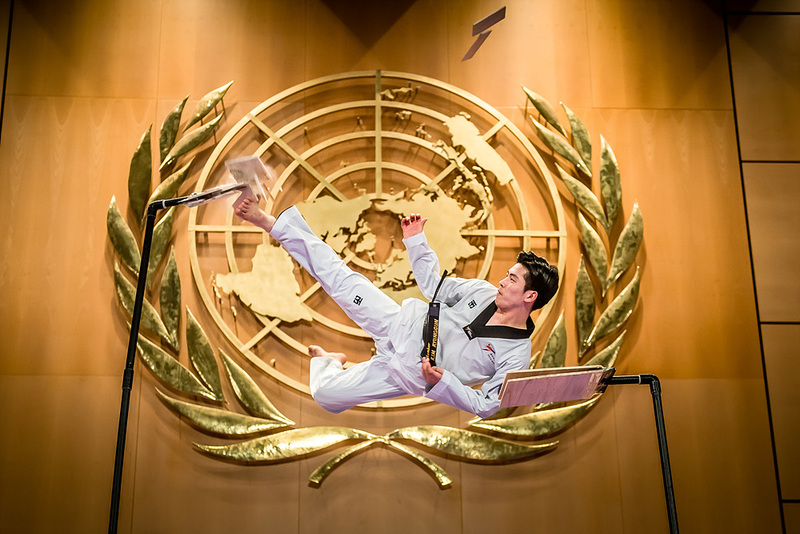 It was at the UN headquarters in New York in 2015 that we first announced the Taekwondo Humanitarian Foundation (THF). Since then, we have supported a number of humanitarian and peace building initiatives all around the world. 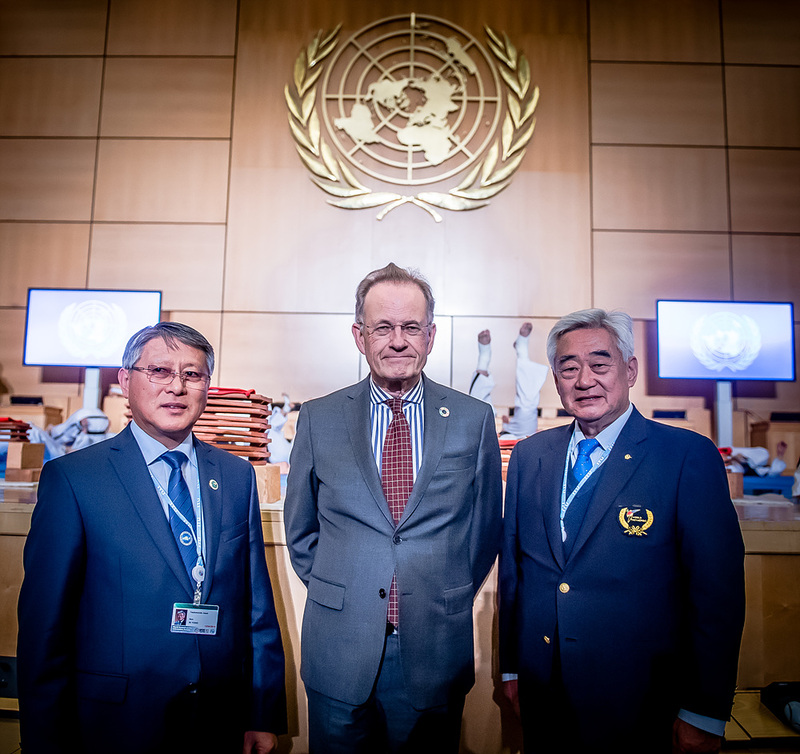 WT and the UN have enjoyed a close relationship for many years, particularly in providing opportunities for refugees. 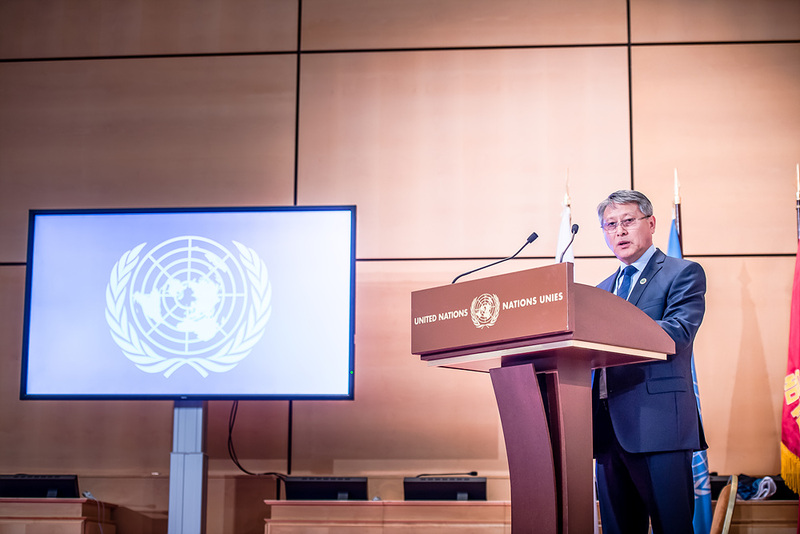 Establishing the THF to empower refugees is a critical part of these efforts. 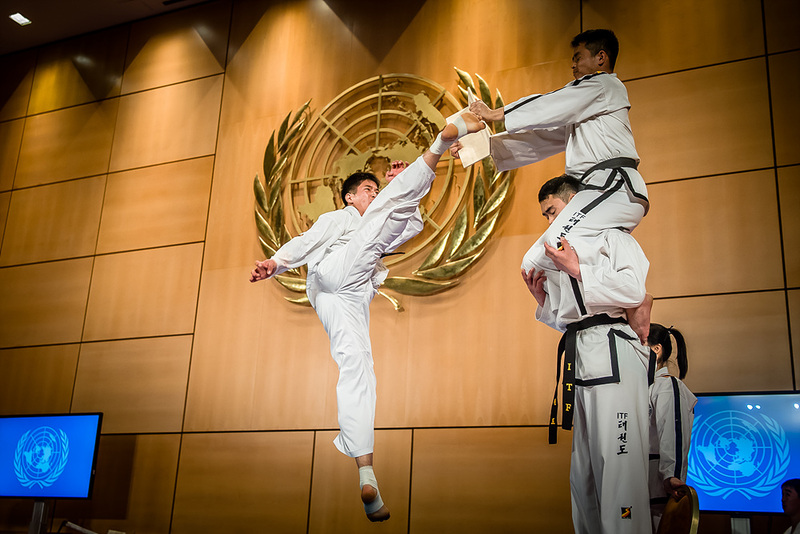 At the THF’s Humanitarian Taekwondo Center, they not only teach young people taekwondo but also how to live as global citizens. 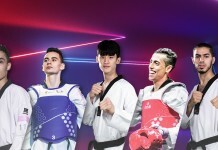 WT has encouraged other International Federations to join them in providing opportunities for young people to practice sport in refugee camps around the world. 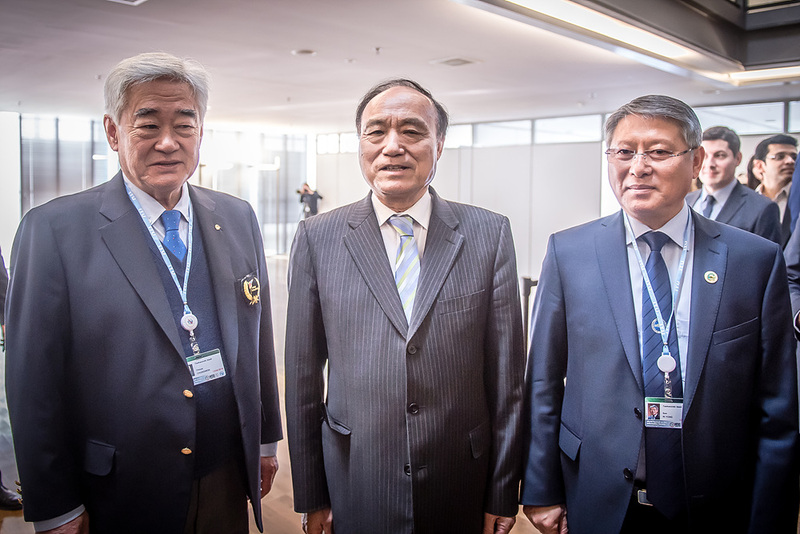 This event ensures the continued development of taekwondo, reinforcing the PyeongChang 2018 Olympic Winter Games legacy of peace. 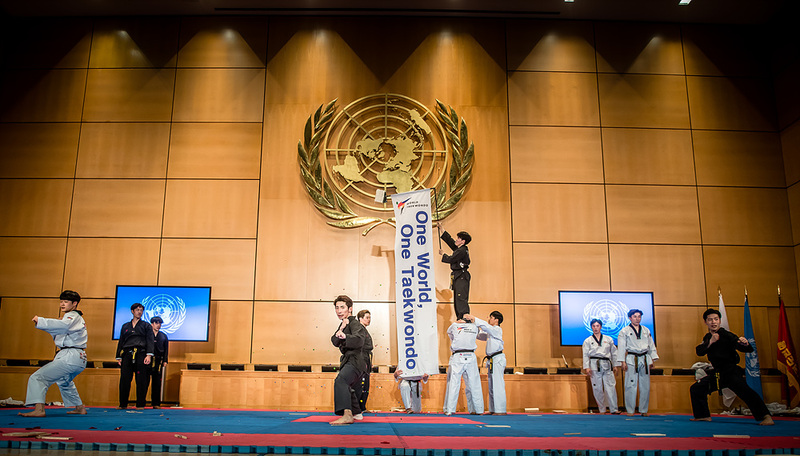 The joint WT-ITF demonstrations of the past week began on 5 April in Vienna, Austria where the ITF headquarters is located. 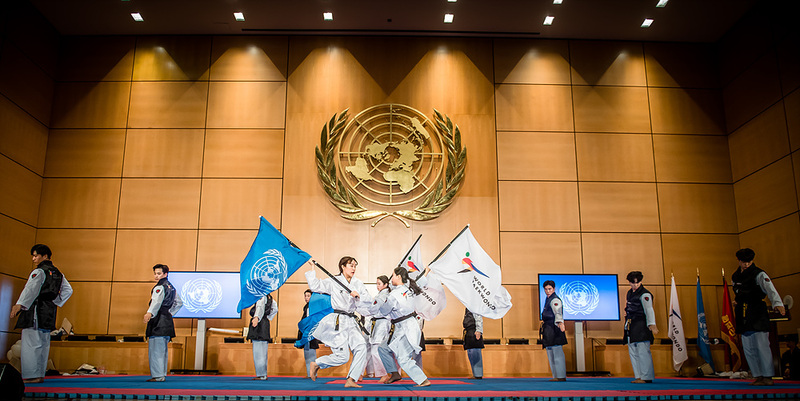 The next demonstration took place on 11 April at the Olympic Museum in Lausanne in cooperation with IOC President Thomas Bach before today’s demonstrations capped off the celebrations.